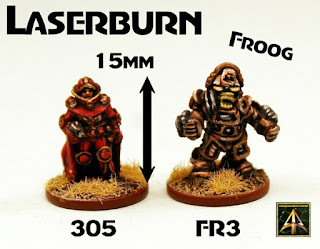 The grandfather of 15mm science fiction miniature ranges and the beginning point on the awesome journey of miniature wargaming for many of us is Laserburn. 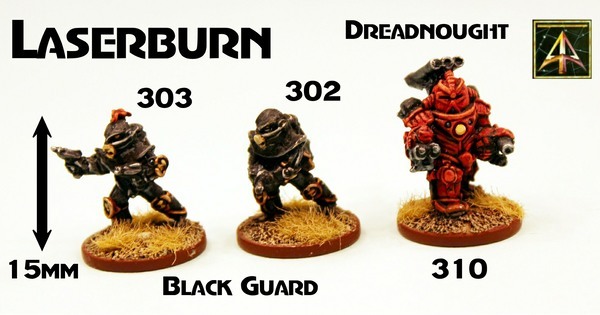 From that golden age of the 1980's this classic range is at Alternative Armies and we have some new pictures of some of the miniatures for you to see as well as having the entire range (miniatures, value packs, vehicles, books etc) at ten percent off all this week. 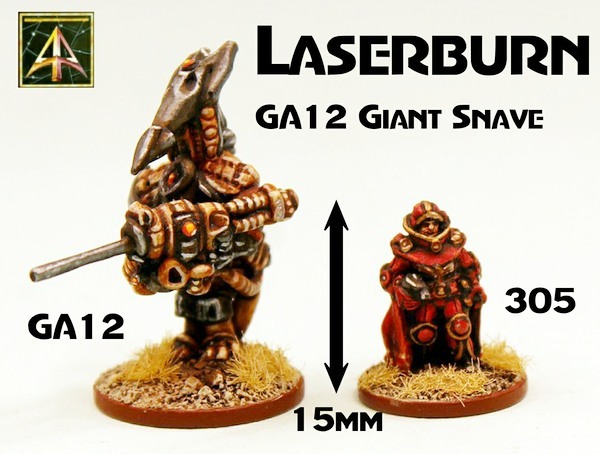 The range also includes Asgard 15mm (Space Marines, Trimotes, Adventurers and more) in its pages and these are also in the offer. 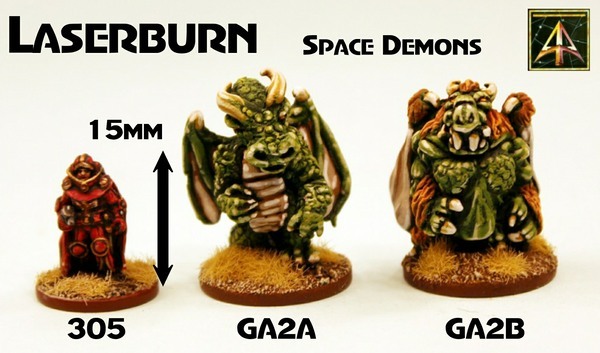 We have new releases later this week and the other week long offer is our 28mm Monsters and Creatures range (Space Brains, Wyverns, Giant Troll and much more). Both whole range offers end midnight Sunday GMT. Click the links or read on for more and the pictures. Here are the new painted images of Laserburn miniatures. We hope you like them. We have new releases later this week and until then here is more information on our Weekly Deals system and our Mailchimp Listing. Here at Alternative Armies we have two new week long deals on two entire ranges every week. Each offer is 10% off every code in two entire collections of our website. Every pack, unit, box, book and so on in the collection is ten percent cheaper than its normal price for seven days. It changes every week at midnight GMT Sunday so it is well worth a look to see what we have on offer from our vast choice. Go HERE for the page and it is well worth seeing every Monday what the new deals are. This week the offers are on are on the Laserburn and Asgard 15mm range and the 28mm Monsters and Creatures range. 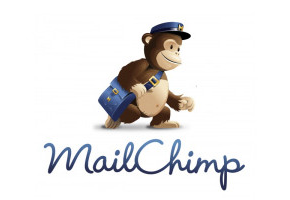 If you would like to get the latest news, releases, free content and unique to email offers from us in one place then sign up for our Mailchimp list which will get you future email from us every week with first news of new releases and special offers plus unique email only deals. Please see footer of our website home page or below here to sign up. 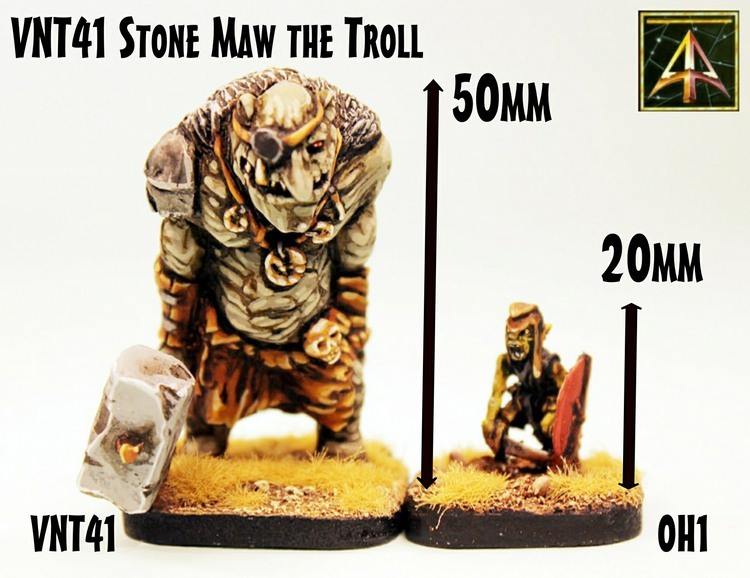 HOT118 Elf Hero on Wyvern 15mm scale released!